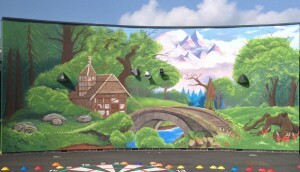 County Durham painter Lee Ferry of Custom Artwerk has praised the quality of Leyland Trade’s Truguard Smooth Masonry paint after using it to transform seven plain walls into colourful learning tools at Greenland Community Primary School. 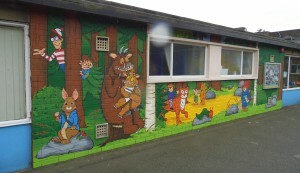 County Durham painter Lee Ferry has praised the quality of Leyland Trade’s Truguard Smooth Masonry paint after using it to transform seven plain walls into colourful learning tools at Greenland Community Primary School. 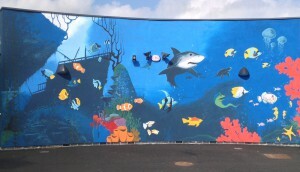 Lee is known in the area for his ability to transform interior and exterior walls with his stunning large-scale murals, and the school asked him to work his magic on seven large walls that had all just been painted red by contractors when the school was built in 2013. 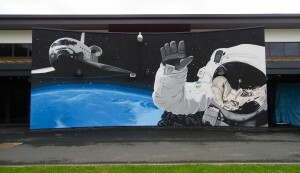 The paintwork was carried out in two stages, and the end result is a stunningseries of murals that depict scenes from world geography, ancient history, outer space and popular children’s storybooks. Leyland Trade’s Truguard Smooth Masonry paint offered Lee a smooth, durable coating that could be recoated in just four hours, allowing him to finish swiftly and move onto other jobs. 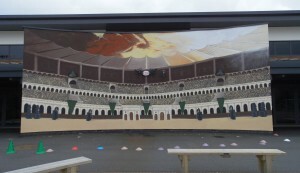 Lee explained how he came to be an advocate of the paint, saying: “I stumbled across it while working on another large job in a school, and I was impressed by the quality of the product. 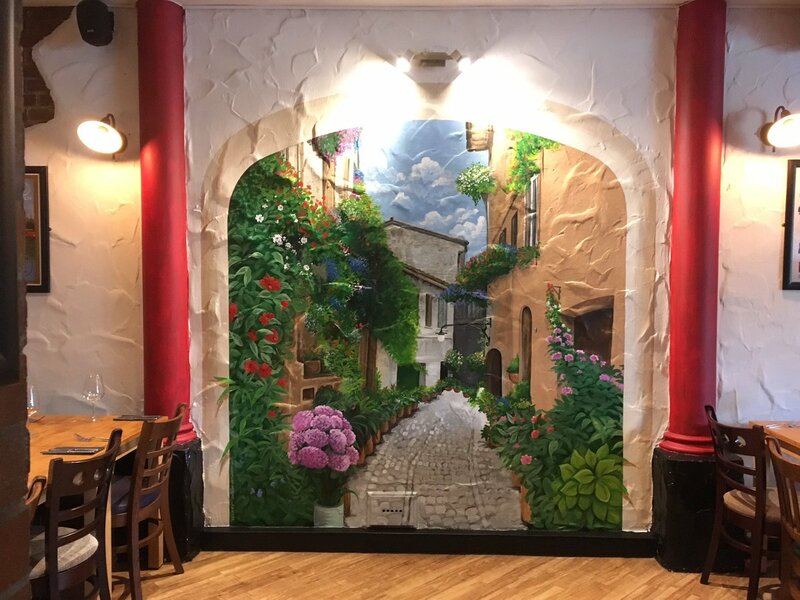 “One of the main reasons I use Truguard Smooth Masonry on all my exterior jobs is I can have it specially mixed to every colour imaginable, unlike most masonry paints on the market. 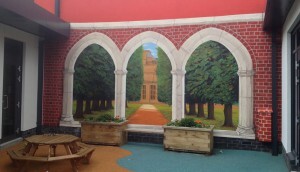 To find out more about our Smooth Masonry, please click here. 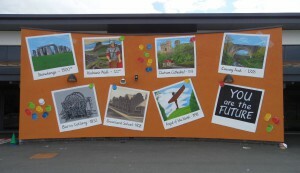 Durham, Newcastle upon Tyne, Gateshead, Sunderland, Carlisle, Scottish Borders, Leeds, Yorkshire and further afield by request.